The GreenLine campaign has taught us that changes depend on good leaders, and a big group of good leaders was what we found at St. Pius X High School, Mulund. Our visit began with the principal expressing his interest in implementing solar lighting in the school, and in refining the garbage segregation system. And the students we met—the school captains and environment squad members—had equally big plans! Over the last few months, the GreenLine team has visited many schools and seen a variety of environmental projects. While some schools who have been working towards sustainability for years have impressed us with their projects, we have also been inspired by others who have made rapid progress in a very short time. St. Joseph’s Wadala, who began their environmental programme in December 2010, amazed us with their dedication and enthusiasm. I was pretty amazed by what I discovered, it’s a major issue and it’s scary!” said Anand, with a rather grim look on his face. A new school with big ideas—that’s what the GreenLine team discovered when we visited Don Bosco Nerul. Our day began with the students of Std. VII telling us that they are sure that small steps taken by large numbers of people can have a great positive impact. 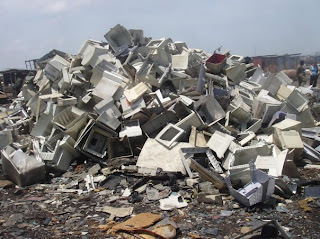 They were keenly aware that for present generations, sustainable living is not an option but a necessity. While the school, which is 5 years old, has not yet started an environment club, the students were eager to get involved in making their school environmentally sound. ‘Nature—Our Treasure’, ‘Go Green’, ‘Nurture Nature’…These are a few of the slogans that are buzzing around the campus of St. Joseph’s High School, Wadala. 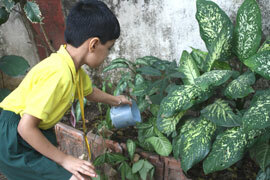 The staff and students have joined hands with the rest to care for our endangered planet. 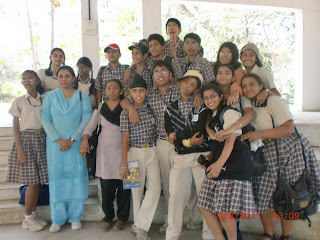 On 4th February 2011, the Eco Club members of Sacred Heart High School, Vashi attended a ‘Nature Trail’ organized by TERI. Don Bosco High School, Matunga is well known in Mumbai for its excellence in academics, sports and a host of other co-curricular activities. And now the members of its Nature Club have pledged to bring even greater fame to the school by turning it into an Environmentally Friendly School! The GreenLine team recently conducted a workshop for the members of the school’s Nature Club. The session began with the students sketching posters of what they considered a perfectly eco friendly school campus. They then went on to list which of the depicted measures were already being implemented in the school and what still remained to be achieved.